I was recently on the hunt for a matte top coat. After searching high and low in the beauty shops in Colchester I finally found one. 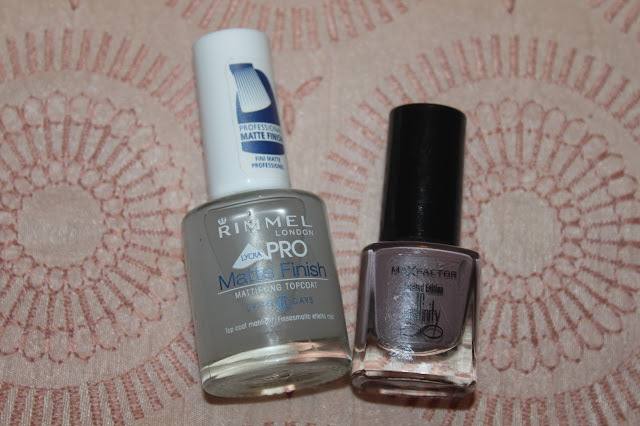 The Rimmel Matte Finish Mattifyng Topcoat was the last one in Superdrug and I couldn't wait to get home at try it. I used Max Factor's Nail Varnish in Boji as my base colour and then applied two coats of the Matte Finish on top. The clear varnish glides on easily and looks glossy, but quickly turns into a frosted look, and then into a matte finish. I love the effect and how it looks. It gives the colour chosen a soft matte look which looks very sleek and chic but the only bad thing I have to say about this is the texture. It has a rough feel to it that gets on my nerves at times, but then again I am a texture person! 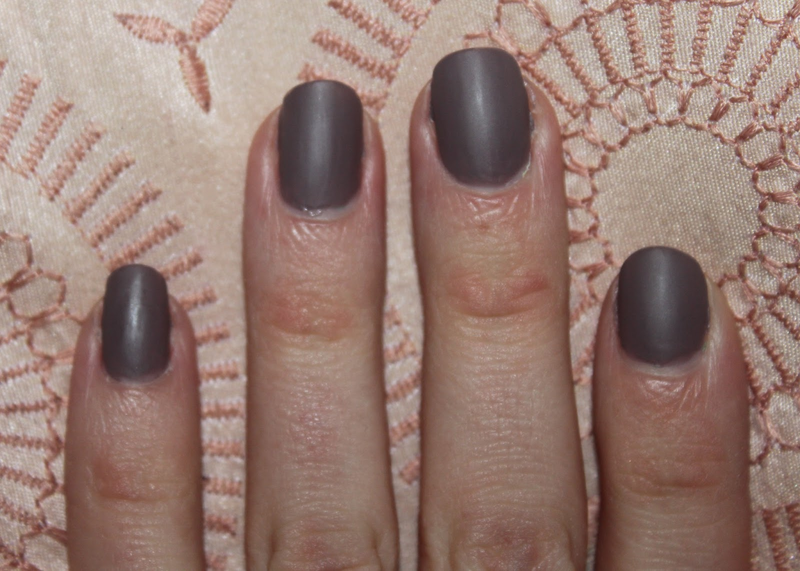 The Angelica matte finish varnishes had a gorgeous soft feel on the nails which I much prefer. However I really love the look of this top coat and I cannot wait to use it on more colours! It gives my nails a statement without it being over done. Such a simple and gorgeous look. This little top coat costs £4.59 from your local Boots or Superdrug. Currently in Boots their Rimmel Lycra polishes are two for £6. Do you like matte nails? Ooo wow! I love it Hannah. Never seen this polish before, definitely want to try it! Long time no comments from me! :D I am FINALLY back into the blogging business and was so excited to see your post! Looks like I'm going to have to invest in a new top coat! I love that they make top coats that turn your polish into a matte finish! Great post Hannah :D I'm looking forward to reading many more! Hey Hill!! Nice seeing you back on the blogging world again! Missed exchanging comments. So glad you enjoyed reading and I can't wait to read more from your blog too! :D So nice seeing you back! I love matte nails! I have an ELF matte topcoat which I rally like and it's smooth, but I do find the matte effect kind of wears off after a couple of days - I guess it depends how long you wear nail polish for, it doesn't really affect me as I change my nails pretty often! Might be worth you picking up, it's only a couple of pounds! I love this topcoat, it's brilliant. Matte nails can look so awesome as well, try mattifying a glittery polish - it looks amazing! This looks so sophisticated, I love it! Oh this look's lovely! I've been trying to find a decent top coat and base coat, I will defiantly keep an eye out for this one!